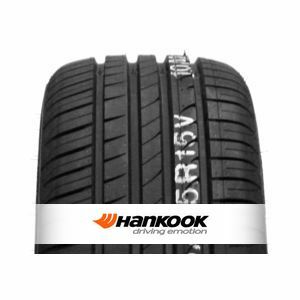 The Hankook tyre Ventus Prime 2 K115 is designed for luxury and executive cars. It offers an excellent grip in all weather. It's characterized by an excellent grip on acceleration, reassuring stability in corners and great handling. The Hankook tyre is equipped with the GripTech technology that ensures superb performance at high speeds and on wet. Had from new with our Kia Pro’ceed. The fronts have done 25,000 miles and are nearly ready for replacing. Would of run them for another few months, but with winter approaching thought I’d better renew. Going for these again perform very well. very good tyre and good price. To review the Hankook Ventus Prime 2 K115, you first have to log-in by clicking here.